Over the past handful of years, there’s been a growing number of drivers who are looking for simple, small cars that are affordable and get them from one place to another efficiently. The rise of the subcompact car has been spearheaded by one of the most popular models, the Toyota Yaris. 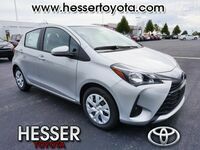 The Toyota Yaris has been a popular option in the subcompact car class for years thanks to its affordable starting MSRP, comfortable ride and impressive efficiency. Now, the 2019 Toyota Yaris is here and looks to be the best version of the Toyota subcompact sedan ever! For this model research page, we’re going to take an in-depth look at the 2019 Toyota Yaris and it all it has to offer drivers in 2019 from efficiency to performance to features and amenities and more! Let’s see what the Toyota Yaris has in store for drivers in 2019! Test Drive the 2019 Toyota Yaris in Janesville, Wisconsin, Today! Those familiar with the Toyota Yaris in previous years will immediately notice that the 2019 Toyota Yaris has a new exterior look that ups the style more than ever. With a new race-inspired honeycomb grille and streamlined silhouette, the 2019 Toyota Yaris has a sportier and sleeker look. On the rear, the 2019 Toyota Yaris sports a chrome-tipped exhaust for a little bling and the available rear lip spoiler really gives the Yaris a high-performing look. Speaking of performance, the 2019 Toyota Yaris comes standard with a 1.5-liter direct-injection engine that offers plenty of pop to go along with incredible fuel efficiency. When paired with the 6-speed automatic transmission, the 2019 Toyota Yaris can get up to an EPA-estimated highway fuel economy of 40 mpg! Plus, there’s also the available Sport Mode that drivers can use with just the flip of the switch when they’re looking for a little more punch in their performance. On the inside of the 2019 Toyota Yaris, drivers will find a surprisingly roomy and comfortable interior with loads of features like standard contoured sport seats and steering wheel-mounted controls. Plus, the 60/40 split fold-down rear seats add versatility for when you need a little extra space. Of course, it wouldn’t be a Toyota without the latest multimedia features and technologies like the standard 7-inch touch-screen multimedia system that comes with numerous different features like voice recognition and Bluetooth so you’re always connected. Plus, the available Smart Key System with Push Button Start means you don’t have to worry about fumbling around for your keys, you can get in and start the car without even taking them out of your pocket! Want to learn more about the 2019 Toyota Yaris? 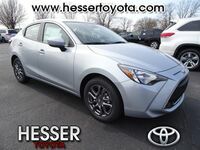 Contact our staff at Hesser Toyota for more information or to schedule a test drive today!